This article addresses the lack of research into the effects of flipping tertiary level English for Academic Purposes courses. An experimental method was used to compare the outcomes and satisfaction of students (n=29) enrolled in a flipped and a traditional version of an Advanced Presentation and Discussion course at a university in South Korea. Results show that students in the traditionally taught class achieved better objective assessment outcomes, students in the flipped class achieved better competency-based assessment outcomes, and satisfaction was the same. These findings are of interest because they confirm some previous assertions about flipped learning while contradicting others. It is suggested that instructors need to consider the instructional design, video production, use of face-to-face time, and audience-specific considerations at the outset of establishing a course in order to develop effective learning environments. The popularity of flipped learning methods is on the increase. The move in higher education towards flipped methods of instruction, which began in secondary education (Bergmann & Sams, 2009), can be viewed as part of an educational approach that promotes blended learning. 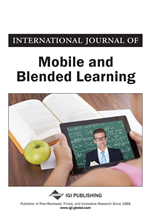 Blended learning is a combination of face-to-face (F2F) and instruction, often in online environments, outside the classroom (Lage, Platt, & Treglia, 2000). The “flip” in flipped classrooms refers to the inverting of the traditional classwork/homework relationship; teacher-led instruction takes place outside the class, while activities relating to it take place inside (Pierce & Fox, 2012). This approach is said to be of benefit to students as it allows for more student-directed discussion, time for problem-solving activities, self-directed and self-paced learning, and greater responsibility for learning (Roehl, Reddy, & Shannon, 2013). Flipped classrooms often use recorded lectures which students view outside the classroom and at their own pace (O’Flaherty & Phillips, 2015). This asynchronous approach to instruction allows for increased amounts of time in class for the instructor to facilitate the application of knowledge (Pluta, Richards, & Mutnick, 2013). In-class, instructors facilitate inquiry, clarify concepts, and encourage planning, analysis, and application of knowledge (Anderson, Krathwohl, & Airasian, 2001). Synchronous activities to strengthen understanding of concepts include micro lectures, student presentations, debates, and discussions (O’Flaherty & Phillips, 2015). The promotion of the flipped learning approach is supported by research into student satisfaction and course grades (Mason, Shuman, & Cook, 2013; Wilson, 2014). It has been shown that students adapt quickly to flipped learning (Mason, Schuman, & Cook, 2013; McLaughlin, et al., 2014) and that, when compared to traditional versions of the same course, students’ satisfaction increases (Butts, 2014; Critz & Wright, 2013; Mason, Schuman, & Cook 2013; McLaughlin, et al., 2013; Pierce & Fox, 2012). Research has also shown improvements in test results and course outcomes (Mason, Schuman, & Cook 2013; McLaughlin, et al., 2013; Pierce & Fox 2012). While there are many positives, research also shows that establishing flipped environments is labour intensive and time consuming for staff (Critz & Wright, 2013; Gannod, Burge, & Helmick, 2007). To address this, some institutions are developing programs to assist instructors (Butts, 2014; Critz & Wright, 2013; Gannod, Burge, & Helmick, 2007). It has also been reported that in some contexts flipped learning has not led to any changes in performance (Clark, 2015) and may not benefit certain groups of students (Owston, York, & Murtha, 2013).